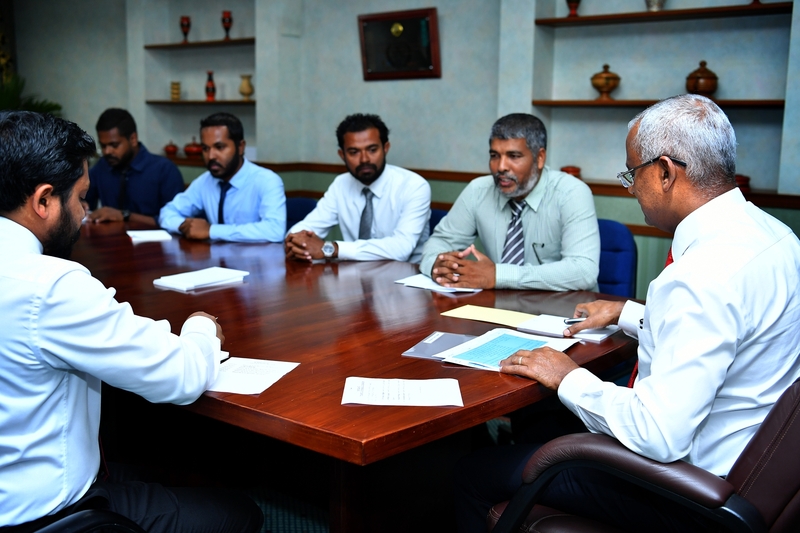 While meeting the Meemu Atoll Council, President Ibrahim Mohamed Solih has enquired on the challenges being faced by the residents of the atoll. The meeting was held today at the President’s Office. At the meeting, the council noted that the Meemu Atoll population was heavily dependent on the fisheries industry as a means of income, and exchanged their views on ways to develop and promote the sector in the atoll, while engaging the youth. The Meemu Atoll Council also highlighted a number of challenges currently being faced by the residents of each island in the atoll, including the need for land reclamation, coastal erosion, need for police presence in the islands, lack of job opportunities, and lack of urban resources. Further, the Council briefed the President on the work being carried out by the council for the development of the islands and their people, the social initiatives of the council, and their future projects. 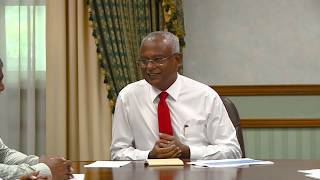 Speaking at the meeting, President Solih reiterated the administration’s commitment to ensuring the welfare of the Maldivian people. He also advised the Meemu Atoll Council to coordinate with the respective State institutions, and reassured the government’s continuous assistance and support to resolving the problems faced by the people.